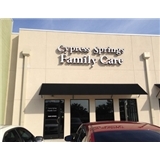 Cypress Springs & Epic Family Care (Richmond) - Book Appointment Online! Cypress Springs Family Care, PLLC & Epic Family Care are dedicated to the highest quality of care for its patients. This mission requires a dynamic organization which embodies excellence in patient care and education, adherence to strict ethical standards, and a keen responsiveness to our patients’ needs. In essence, we exist to serve others.